For a smart casual look, opt for a black fur coat and black leather skinny jeans — these two items play nicely together. Dress down your getup with blue athletic shoes. If you're looking for a casual yet totally chic ensemble, wear a black knit open cardigan and grey skinny jeans. Both garments are totally comfy and will look fabulous together. Make blue athletic shoes your footwear choice to make the look more current. Contrary to what you might believe, looking elegant doesn't take that much time. Just dress in a silver shift dress and you'll look wonderful. 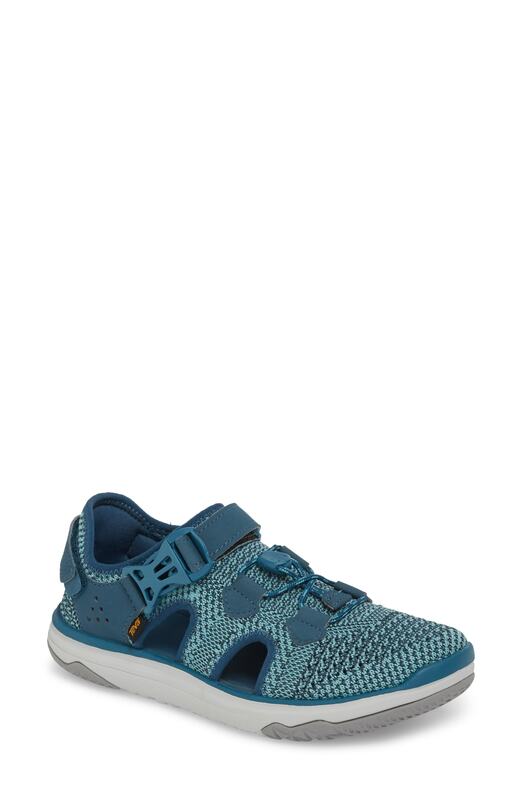 Break up your ensemble with more casual shoes, like this pair of blue athletic shoes. 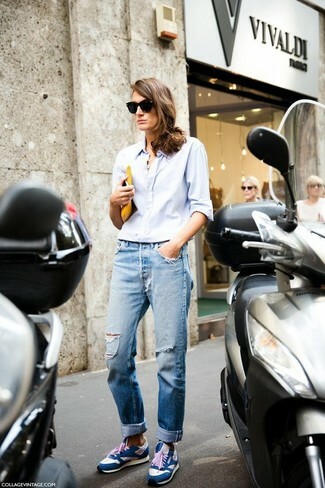 If you're searching for a casual yet absolutely chic ensemble, pair a light blue dress shirt with light blue ripped boyfriend jeans. Both items are totally comfy and will look fabulous together. For something more on the daring side to complement this getup, choose a pair of Teva terra float travel knit active sandal.